The opposition National Democratic Congress (NDC) intends to turn down any invitation from the Justice Emile Short Commission of Inquiry probing the Ayawaso West Wuogon by-election violence. 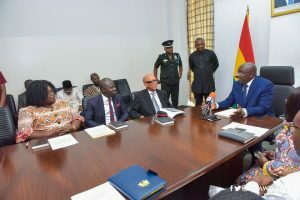 The three-member Commission begins work today [Monday] and it is expected to take statements from key political actors including the NDC and the New Patriotic Party (NPP) after the controversial January 31 by-election. There was a shooting incident that occurred near a La Bawaleshie polling centre that temporarily disrupted the Ayawaso West Wuogon by-election and resulted in at least 13 persons sustaining injuries. Some security personnel were also seen brutalising multiple persons draw widespread condemnation. “We will not be part of any attempt to cover up the heinous crimes and barbaric attacks at last Thursday's by-election,” he stressed. The General Secretary of the NDC, Johnson Asiedu Nketia has already described the commission ploy to protect perpetrators of the violence. But the Chairman of the Commission, Justice Emile Short has promised an impartial probe into the Ayawaso West Wuogon violence. The Commission’s chair insisted that the commission was necessary “so that we will find credible and lasting solutions to the phenomenon of electoral violence. “We think that it is important not just to look at the symptoms but identify the underlying causes of these two problems,” Justice Short added. Has The Time Come To Replace Yaw Osafo Marfo With The Spritely And Wide-Awake Kwame Pianim?